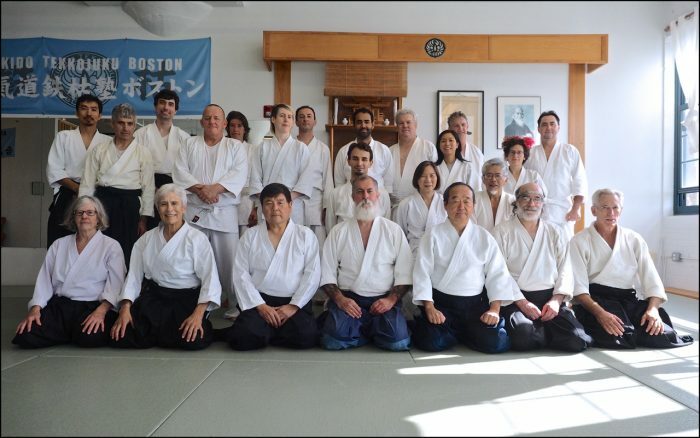 Aikido Tekkojuku of Boston celebrated our 13th birthday with an Anniversary Seminar on October 19th-21st, 2018. Over nine hours of training, many of Kanai-Sensei’s long-term students (jiki-deshi) shared their experience of some of his favorite techniques, perspectives, and themes. Special thanks to our guest instructor this year, Shinji Muraki-Sensei from Boston Aikikai. We are grateful to our instructors, our organizers, and all those who came to train and celebrate our dojo and the legacy of Kanai-Sensei.